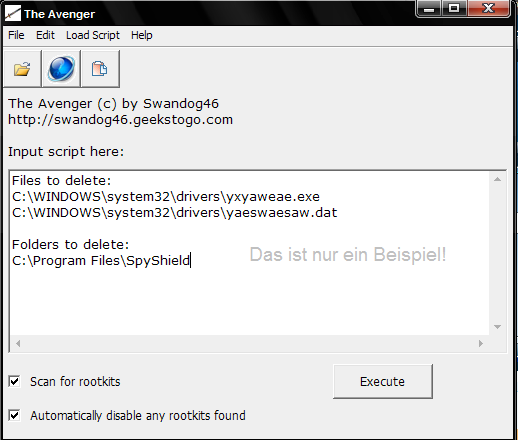 The Avenger is a tool for the termination of locked malware, which you can´t delete with default programs! Very popular is locked malware, which you can´t delete with default programs. What to do now? Swandog49 created some years ago, a very useful program which can delete malware, which have nestled it self very strong in the system. Avenger is really a very powerful programe and using it is for your own risk, because with Avenger you can delete every file or every folder in Windows and if you abuse this programe it can be possible that your system has serious errors! 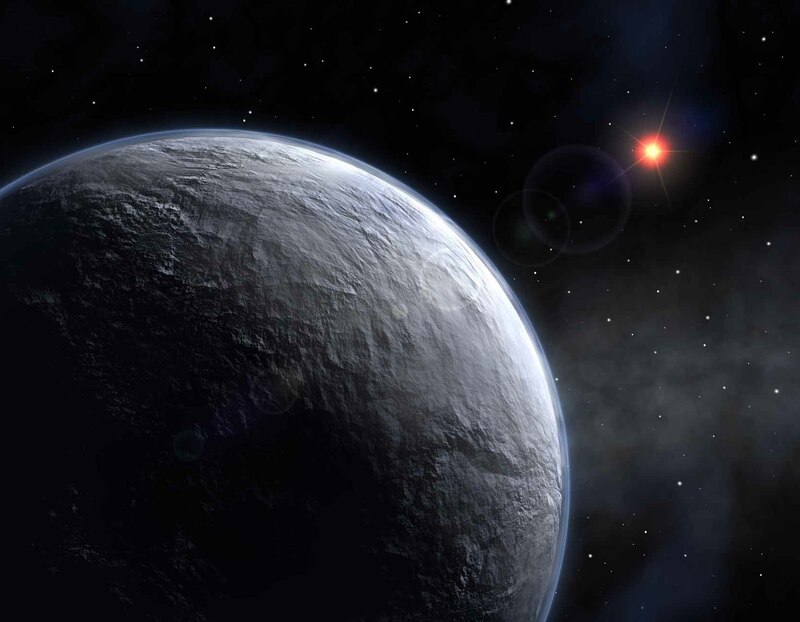 That is why I recommend you to use this program only when it is really needed and if an experienced user advises you to use it, and then you should do exactly what he says! Here you can find the Download and illustrated instructions of this programe! Attention: Some anti-virus programs could mean the Avenger is a virus. Of course this is completely nonsense, this is because the Avenger is a very powerful program and incorrect use can be really dangerous! If a warning appears, when you open the program, then confirm with "Yes"
If you was advised to terminate a file or a folder with Avenger, then add the script, which was called you, into the big empty box under "Input script here:". Make now a hook at "scan for rootkits" and "Automatically disable any rootkits found". Then if the right script has been inserted and the search for Rootkits is activated, close all programs, because Avenger will, after you click "Execute", ask you whether it should restart. Then you should confirm with "Yes", because Avenger removes locked malware at the boot process! After the restart Avenger automatically opens a text document. This is the logfile created by Avenger. There should now stand if everything finished right. Of course, Avenger also makes a safety backup. You can find under "C:/Avenger/backup.zip" the Backup and the log file under "C:/avenger.txt". Heute waren schon 10 visitors (17 hits) hier!